We investigate the scattering of plane harmonic compression and shear waves by a Griffith crack in an infinite isotropic dielectric polymer. 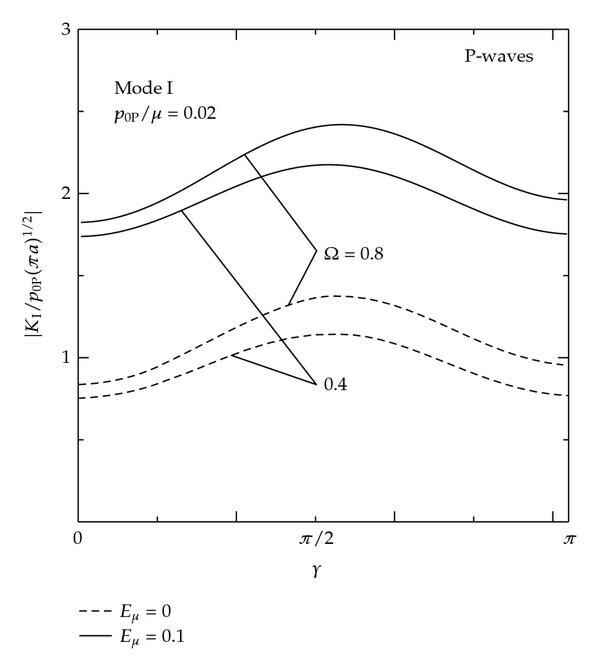 The dielectric polymer is permeated by a uniform electric field normal to the crack face, and the incoming wave is applied in an arbitrary direction. By the use of Fourier transforms, we reduce the problem to that of solving two simultaneous dual integral equations. The solution of the dual integral equations is then expressed in terms of a pair of coupled Fredholm integral equations of the second kind having the kernel that is a finite integral. The dynamic stress intensity factor and energy release rate for mode I and mode II are computed for different wave frequencies and angles of incidence, and the influence of the electric field on the normalized values is displayed graphically. Elastic dielectrics such as insulating materials have been reported to have poor mechanical properties. Mechanical failure of insulators is also a well-known phenomenon. Therefore, understanding the fracture behavior of the elastic dielectrics will provide useful information to the insulation designers. 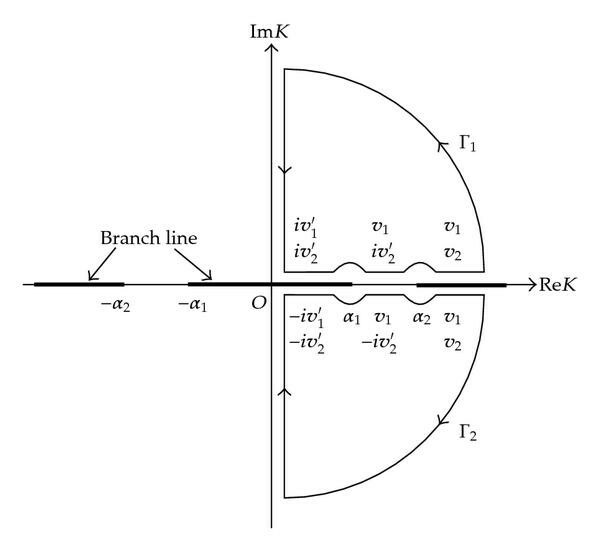 Toupin  considered the isotropic elastic dielectric material and obtained the form of the constitutive relations for the stress and electric fields. Kurlandzka  investigated a crack problem of an elastic dielectric material subjected to an electrostatic field. Pak and Herrmann [3, 4] also derived a material force in the form of a path-independent integral for the elastic dielectric medium, which is related to the energy release rate. Recently, Shindo and Narita  considered the planar problem for an infinite dielectric polymer containing a crack under a uniform electric field, and discussed the stress intensity factor and energy release rate under mode I and mode II loadings. 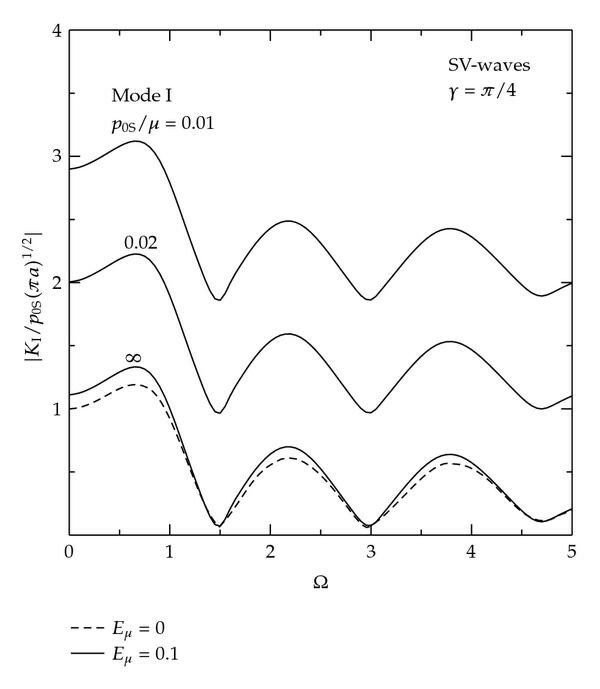 This paper investigates the scattering of in-plane compressional (P) and shear (SV) waves by a Griffith crack in an infinite dielectric polymer permeated by a uniform electric field. The electric field is normal to the crack surface. Fourier transforms are used to reduce the problem to the solution of two simultaneous dual integral equations. The solution of the integral equations is then expressed in terms of a pair of coupled Fredholm integral equations of the second kind. In literature, there are two derivations of dual integral equations. One is the one mentioned in this paper. The other one is for the dual boundary element methods (BEM) [6, 7]. 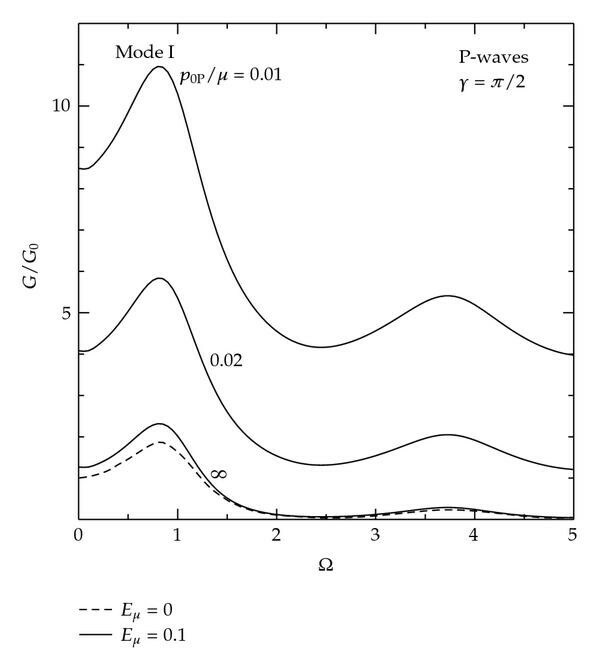 Numerical calculations are carried out for the dynamic stress intensity factor and energy release rate under mode I and mode II, and the results are shown graphically to demonstrate the effect of the electric field. We assume that the deformation will be small even with large electric fields, and the second terms will have only a minor influence on the total fields. The formulations will then be linearized with respect to these unknown deformed state quantities. where is the displacement vector, is the local stress tensor, is the mass density, a comma followed by an index denotes partial differentiation with respect to the space coordinate or the time , and the summation convention for repeated indices is applied. where is the Maxwell stress tensor, and are the Lamé constants, and are the electrostrictive coefficients, is the permittivity of free space, = 1 + is the specific permittivity, is the electric susceptibility, and is the Kronecker delta. where is an outer unit vector normal to an undeformed body, is the permutation symbol, and means the jump in any field quantity across the discontinuity surface. Scattering of waves in a dielectric medium with a Griffith crack. where is the compression wave velocity. where is the amplitude of the incident SV-wave. In view of the harmonic time variation of the incident waves given by (3.7) and (3.8), the field quantities will all contain the time factor exp which will henceforth be dropped. where the subscript and 2 correspond to the incident P- and SV-waves, , , , , and, are the compression and shear wave numbers, respectively, and . The desired solution of the original problem can be obtained by superposition of the solutions for the two cases: mode I and mode II. The problem will further be divided into two parts: (1) symmetric with respect to and (2) antisymmetric with respect to . The kernel is symmetric in , and the value of this kernel for is obtained by interchanging and in (4.25). where is the first-order Hankel function of the first kind. The value of for is obtained by interchanging and in (4.43). Since the mode II problem may also be reduced to the solution of two simultaneous dual integral equations in the same way as the mode I, many of the details of solution procedure will be omitted and only the essential steps will be provided. and . The kernels are symmetric in and . and are symmetric in and . 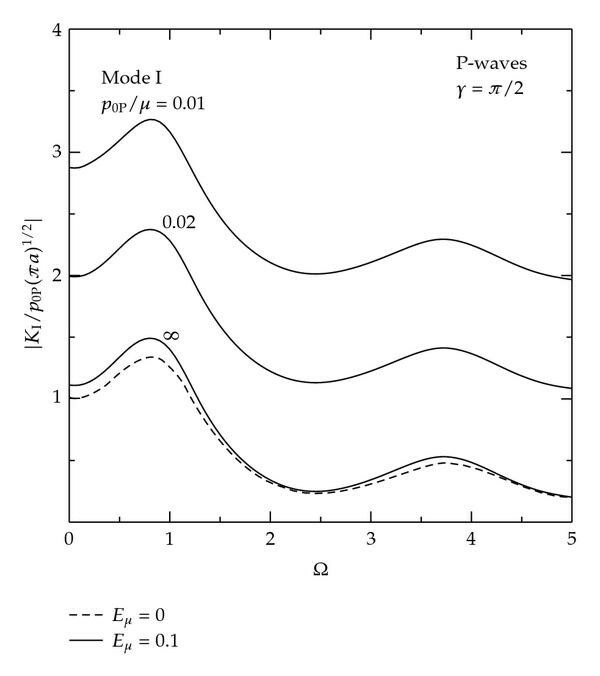 To examine the effect of electroelastic interactions on the dynamic stress intensity factor and dynamic energy release rate, the solutions of the Fredholm integral equations of the second kind (4.17), (4.41) for Mode I and (4.65), (4.66), (4.77), (4.78) for Mode II have been computed numerically by the use of Gaussian quadrature formulas. We can consider polymethylmethacrylate (PMMA), and the engineering material constants of PMMA are listed in Table 1. The dynamic stress intensity factor can be found as . Figure 3 exhibits the variation of the normalized mode I dynamic stress intensity factor against the normalized frequency subjected to -waves for the normalized electric field and the angle of incidence . The dynamic stress intensity factor drops rapidly beyond the first maximum and exhibits oscillations of approximately constant period as increases. The peak value of under is 1.364. Also, the peak values of under are 1.522, 2.416, 3.310 for , respectively. As , the dynamic stress intensity factor tends to static stress intensity factor . In the absence of the electric fields, the dynamic stress intensity factor becomes the solution for the elastic solid (see e.g. ). Figure 4 also shows the variation of the normalized mode I dynamic energy release rate , where is the static energy release rate. The peak values of under for are 1.861, 2.361, 5.838, 10.96, respectively. Figure 5 shows the normalized mode I dynamic stress intensity factor versus subjected to P-waves for and . The peak values of under are 1.078, 1.198 for , respectively. 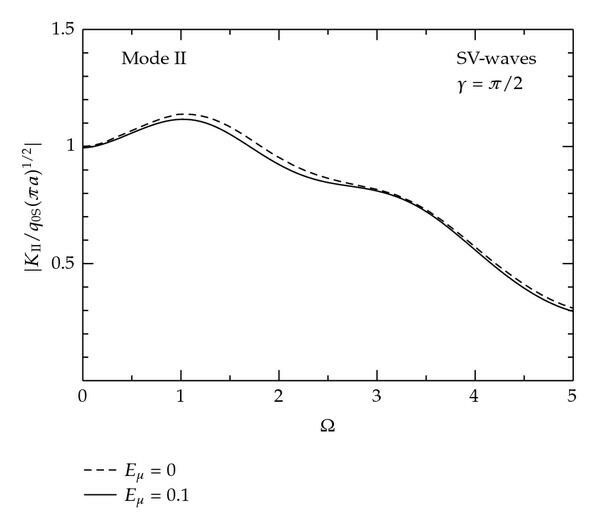 Figure 6 shows the normalized mode II dynamic stress intensity factor versus subjected to -waves for and . The effect of electric fields on the mode II dynamic stress intensity factor is small. 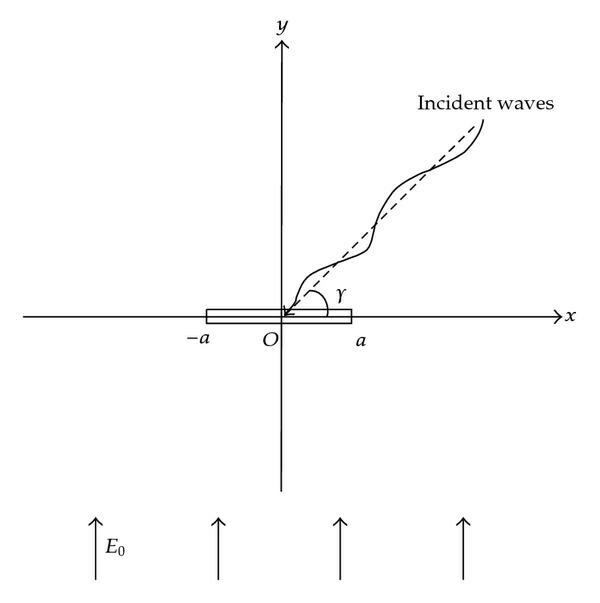 Figure 7 displays the normalized mode I dynamic stress intensity factor against the angle of incidence subjected to -waves for and . The mode I dynamic stress intensity factors for and 0.8 attain its maximum values at an incident angle of approximately . Mode I dynamic stress intensity factor versus frequency (P-waves, ). 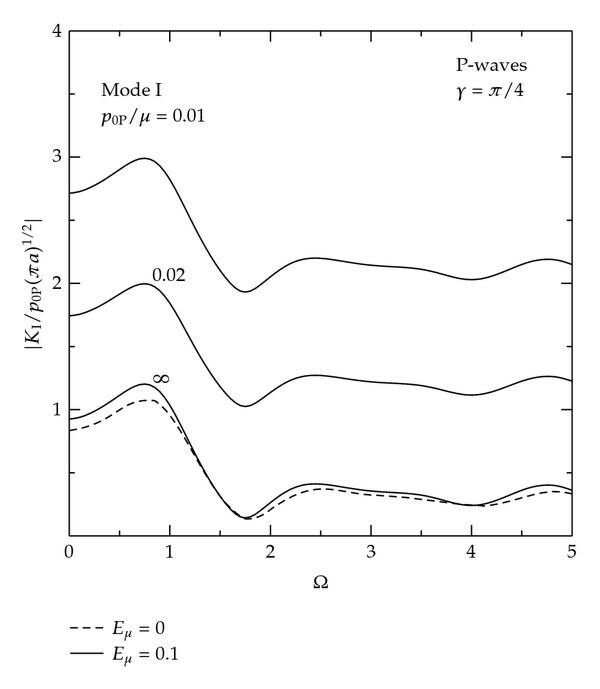 Mode I dynamic energy relrase rate versus frequency (P-waves, ). 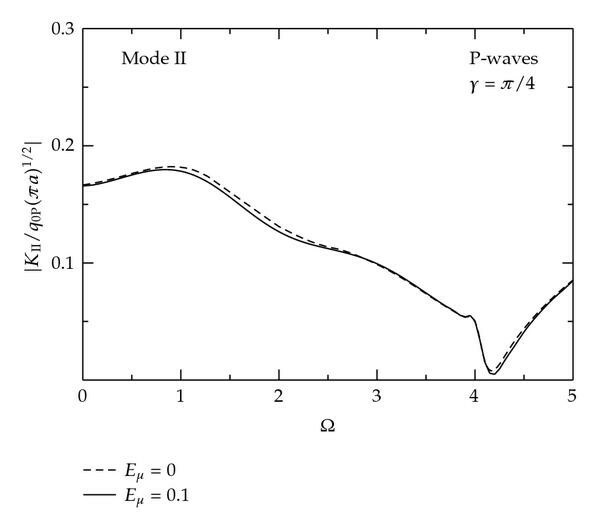 Mode II dynamic stress intensity factor versus frequency (P-waves, ). Mode I dynamic stress intensity factor versus angle of incidence (P-waves). Figure 8 shows the variation of the normalized mode II dynamic stress intensity factor versus subjected to SV-waves for and . The electric fields have small effect on the mode II dynamic stress intensity factor. Figure 9 shows the normalized mode I dynamic stress intensity factor against subjected to SV-waves for and . Similar trend to the case under P-waves is observed. Mode II dynamic stress intensity factor versus frequency (SV-waves, ). Mode I dynamic stress intensity factor versus frequency (SV-waves, ). The dynamic electroelastic problem for a dielectric polymer having a finite crack has been analyzed theoretically. The results are expressed in terms of the dynamic stress intensity factor and dynamic energy release rate. It is found that the dynamic stress intensity factor and dynamic energy release rate tend to increase with frequency reaching a peak and then decrease in magnitude. These peaks depend on the angle of incidence. Also, applied electric fields increase the mode I dynamic stress intensity factor and dynamic energy release rate, whereas the mode II dynamic stress intensity factor is less dependent on the electric field.